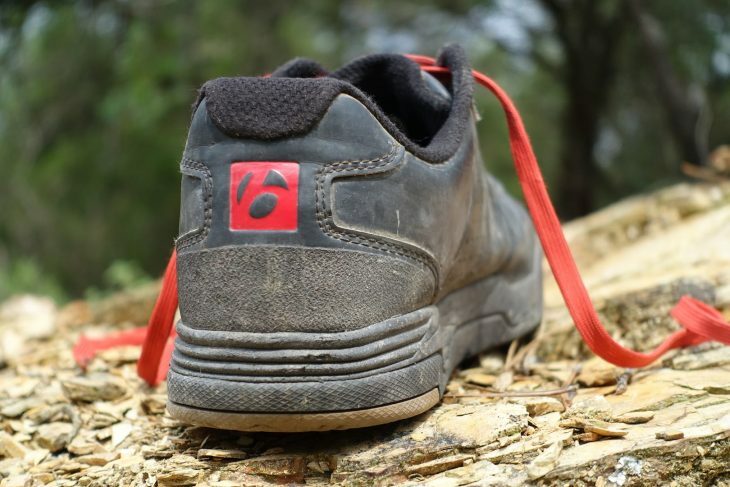 Ask any mountain biker what flat pedal shoes they’d recommend, and there’s one brand that inevitably comes up in conversation: Five Ten. With its gooey Stealth rubber-soled shoes, Five Ten has long been without peers when it comes to producing a reliably grippy connection with your flat pedals. But that’s starting to change. There’s been a concerted push from the likes of Giro and Vaude – brands that are well versed in making mountain bike footwear, and that have come on in leaps and bounds with their flat specific offerings. 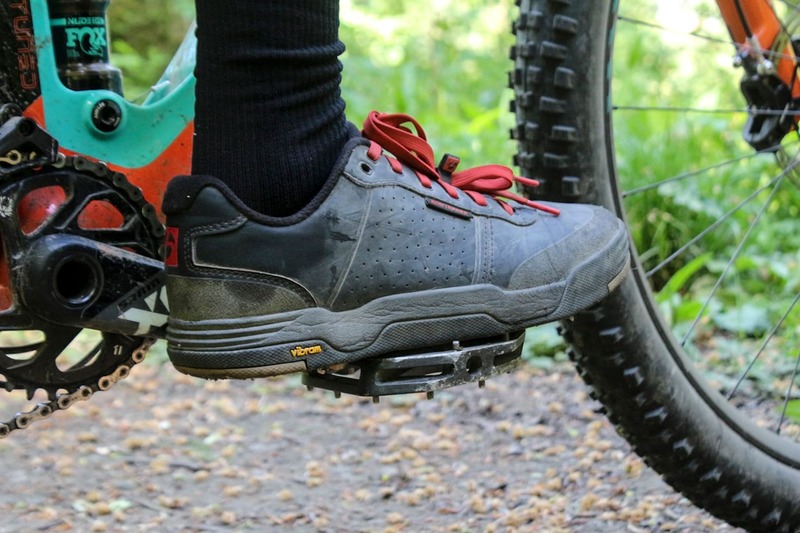 Shimano’s latest GR7 and GR9 shoes have also raised the bar with new Michelin-equipped rubber soles, and Specialized has earned its fair share of fans with the excellent 2FO shoes. Pearl Izumi has recently dived in with its first flat pedal shoes, and we’re also seeing other brands like Afton, ION and OWN throw their collective hats into the ring, among others. Given the rapidly improving competition and the existing dominance of Five Ten, how exactly does a brand like Bontrager slide its way into this market? Bontrager steps into the flat pedal shoe game with the Flatline. Well, having produced a line of road and mountain bike shoes for over a decade now, Bontrager isn’t exactly a new kid on the block when it comes to cycling footwear. 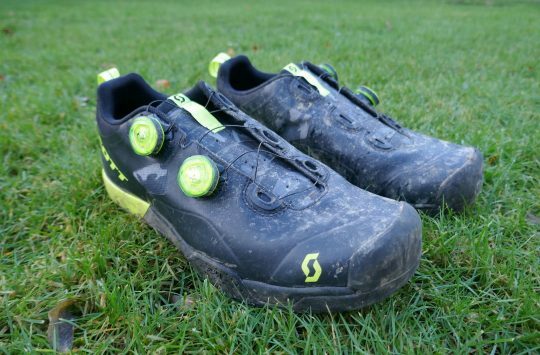 I’ve gotten along splendidly with numerous Bontrager SPD kicks in the past, including the RXLs, Cambions (review here) and Rhythms (review here). But despite its extensive and popular product line, the US brand has been without a flat pedal specific shoe. Understated skate style with minimal logos or colour. Quietly introduced earlier this year, the Flatline aims to fill that gap as the first ever flat shoe that Bontrager has ever produced. Drawing on a low-cut skate shoe style with a lace-up closure, the Flatline employs a Vibram rubber sole with a unique tread pattern that’s designed to offer predictable traction between the shoe and pedal body. The Flatlines use a low-cut style with lace-up closure. Like other Bontrager shoes I’ve tested in the past, the Flatline features generous dimensions and generous volume. I’m normally a 45 in most cycling shoes (including Shimano, Giro and Specialized), but I had to size down to a 44 in the Flatline. Once into the right size though, these feel really comfortable on the foot. They’re wider and more voluminous than a Giro Riddance or Shimano GR7, but with the lace-up closure, there’s a broad range of adjustability for dialling in the upper’s fit. That means for my narrow feet (which are a notorious pain in the arse when it comes to finding correct-fitting footwear), I don’t end up with floppy wizard shoes. 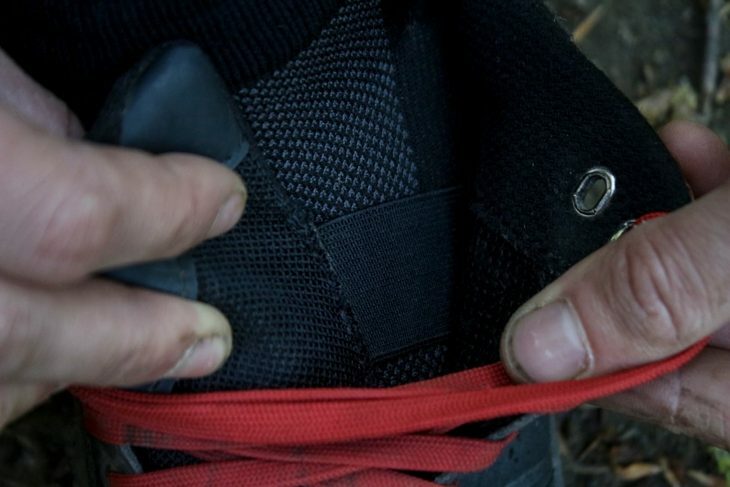 With all the lacing anchor points tightened up, the Flatline feels plenty secure. That said, their volume is designed to accommodate medium-to-wide sized feet with ease. It’s worth pointing out that if you do end up having one of those ‘I don’t know what I was thinking, I should have gotten the next size down!‘ panic moments, then it is possible to return and exchange the shoes within 30 days of purchase thanks to Bontrager’s 30-Day Comfort Guarantee. Nice peace of mind that. 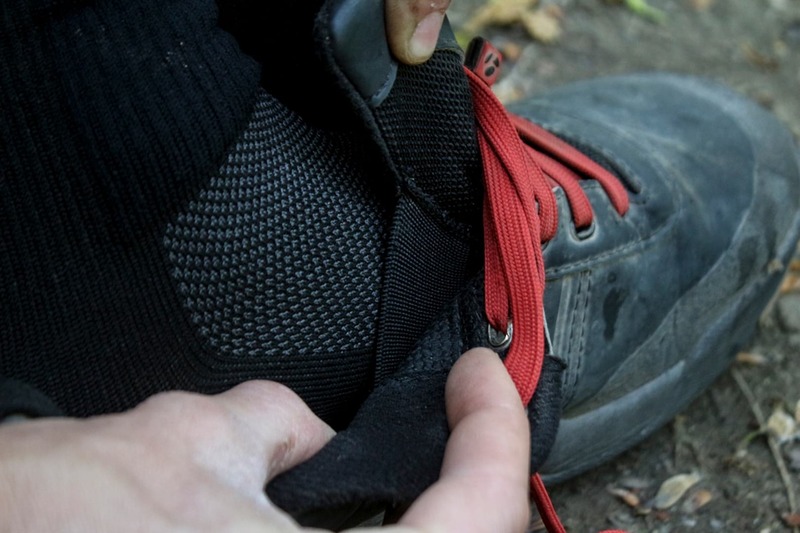 The laces give the Flatline a broad range of adjustment to accommodate different sized feet. Compared to much heavier duty flat pedal shoes, the Flatlines are equipped with a more minimalist interior. There’s foam padding underneath the tongue and around the ankle, but that’s basically it. That means the synthetic leather upper fits close to skin, so it never feels like your tootsies are swimming around inside a squishy padded sneaker. Nor did I have any issues with crankarm or frame rub. The other advantage of this stripped-back construction is that the Flatlines don’t take onboard a whole lot of water when it’s splashy out, and they also dry out pretty quickly too. Bonus points. Even with the shoes cinched down nice and tight, there remains a cavern of space in the toe box that encourages your little piggies to splay out comfortably. There also seems to be good air flow despite the lack of any large mesh panels on the upper. Then again, they are jet black – I’d recommend picking a lighter coloured shoe if you’re particularly worried about your feet cooking under the hot sun. One of my favourite features of the Flatline shoes is also one of the most subtle. Helping to stabilise the tongue and keep it from sliding around, there’s a stout elastic belt on either side that anchors the tongue down to the footbed. It’s very simple, but it works, and you never have to fish around to readjust the tongue mid-ride. An elastic belt on either side of the tongue holds it down into the footbeds. The elastic lace guard is another simple idea that works well. Unfortunately the laces are too long and end up flopping about annoyingly while pedalling. It’s not difficult to trim them down though. Oh, and spare black laces come in the box if you’re ultra-shy. The stock laces are too long. Rubber specialist Vibram offers shoe manufacturers a variety of different compounds to choose from. According to Bontrager, testing revealed a middle-of-the-road durometer was favoured by the development team. Bontrager has laid the Vibram rubber in a tiled pattern with shallow channels that are designed to help lock onto pedal pins. This portion of the sole is relatively flat and consistent, extending almost all the way to the heel, and that allows for a broad area to place one’s feet onto the pedal body. 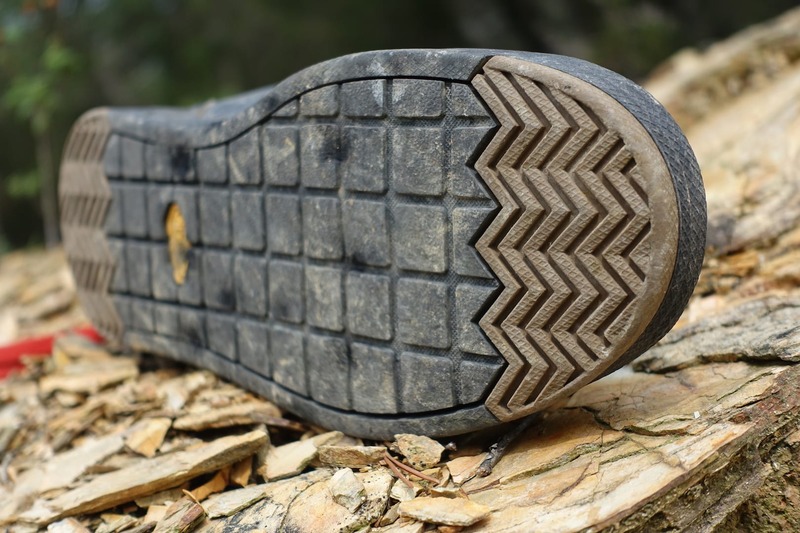 The Vibram rubber sole gets a very broad platform area. During the six months of testing, I’ve used the Flatline shoes with a number of different pedals including DMR Vaults, Crank Brothers Stamps, Shimano Deore XTs and Saints. 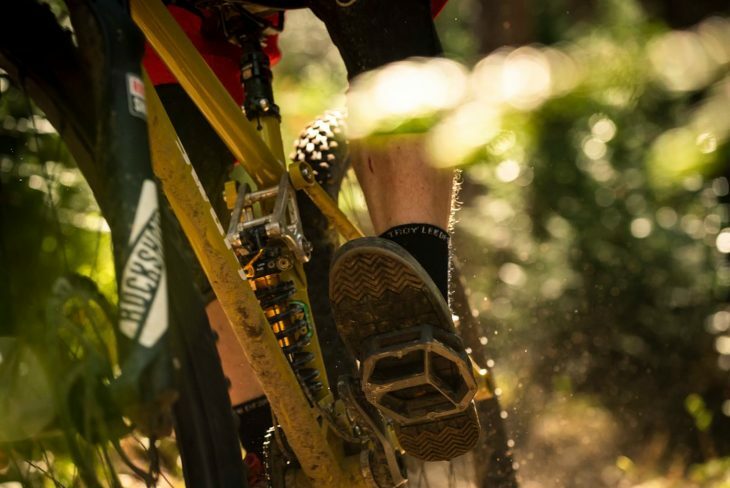 Each pairing has provided consistent traction with an intuitive feel on the pedals. 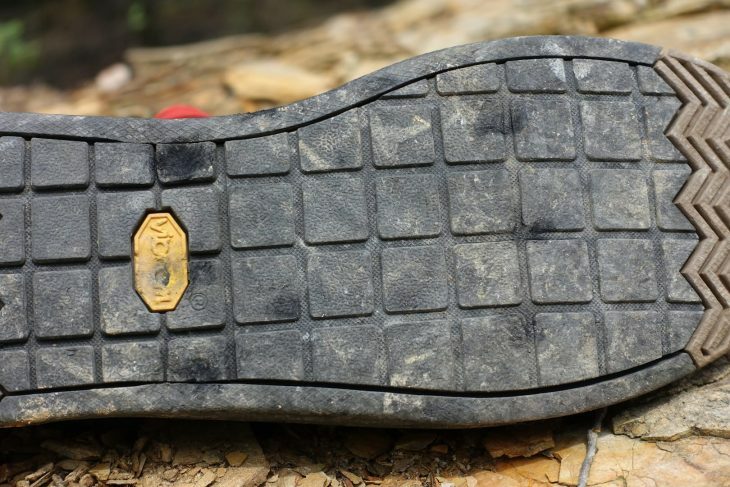 The rubber isn’t quite as grippy as Shimano’s Michelin soles, or Five Ten’s Stealth rubber, but it’s not too far behind. Though you don’t get the same gecko-like grip as those aforementioned shoes, what I like about the shallow tread pattern on the Flatlines is that it isn’t difficult to reposition your foot when required. 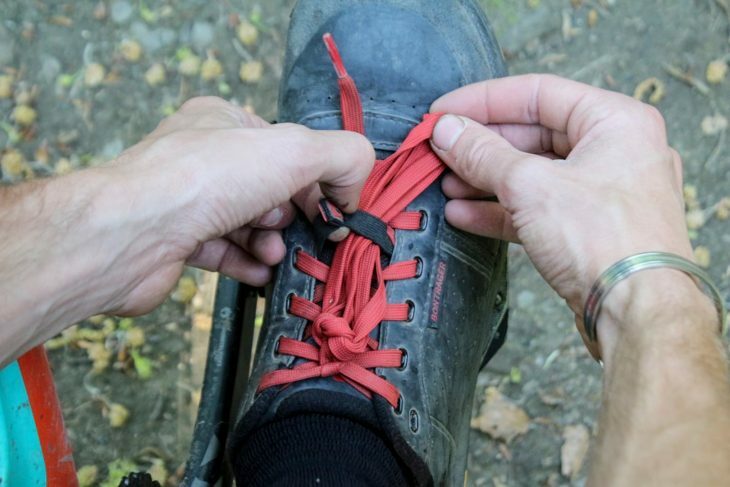 I’ve spent a lot of time wearing these on long, pedal-y trail rides, and the ability to shift your feet into a more ergonomic position while climbing has been welcome. I’ve also found this to be the case while descending – you never feel like you’re obliged to stay stuck in an awkward stance. 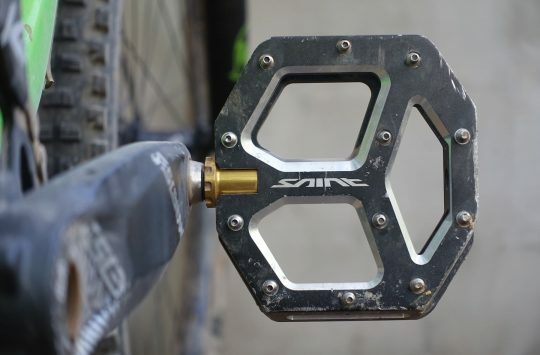 The connection to the pedals is superb, achieving a desirable balance between flexibility for feel, and stiffness for damping. Push your weight into the pedal pins though, and the Flatlines stick confidently. The EVA midsole delivers usable flexibility, allowing the sole to mould and wrap around the pedal body to maximise surface contact. 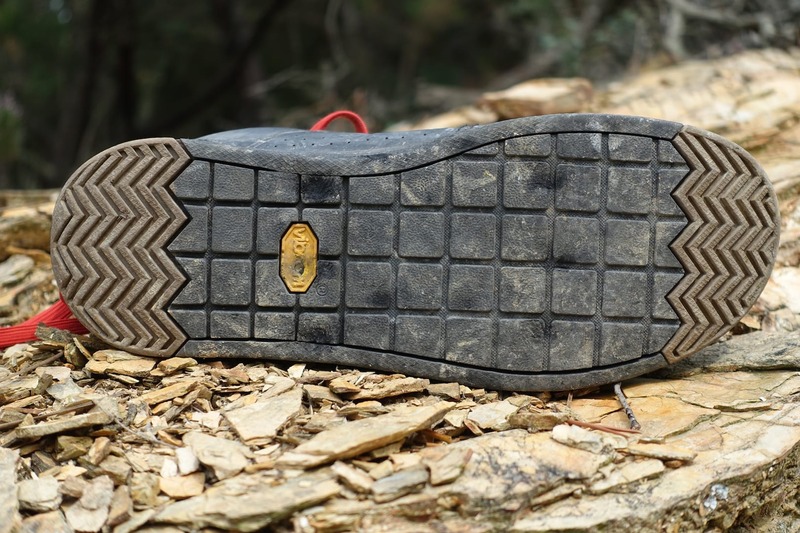 It’s also thin enough that you get good feedback of what’s underneath your feet, and I think this is where Bontrager has gotten the balance right compared to other Vibram-equipped shoes such as the thicker, stiffer, and less grippy Giro Riddance shoes we recently tested. Perhaps most surprising given the feedback on offer with the Flatlines is that I never felt beat up. I noticed increased support and damping compared to the more flexible Shimano GR7 shoes I’ve also been using lately, which is particularly apparent on much longer descents where your contact points are being repeatedly battered on the way down. At either end of the outsole there are brown rubber chevron patterns etched into the Vibram rubber. Bontrager says these are for walking grip, but don’t be fooled – there isn’t a lot of grab available here for actual hike-a-biking. 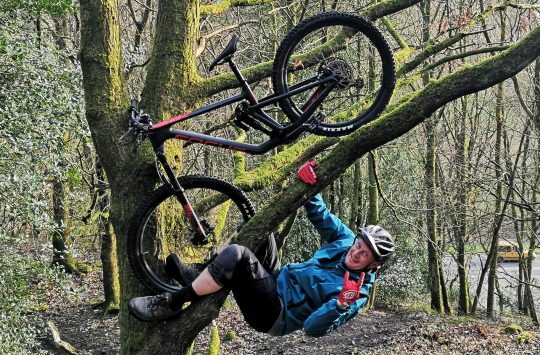 I’ve had a few awkward slips on pea-gravel while portaging a bike up a treacherous ridge line, since the ‘tread’ isn’t particularly aggressive. Oh, and best lower your expectations for staying upright on muddy inclines. Given this is Bontrager’s first attempt at a flat pedal specific shoe though, perhaps we’ll see a more rugged all terrain sole added to the line in the future? Durability wise, the Flatline shoes have handled everything that’s been thrown their way. The Vibram rubber is holding up very well considering, though slight pockets are developing around the more prominent pedal pins. This does mean the soles become somewhat ‘self-locating’ over time, which I actually quite like – providing you’re using the same pedals of course. Without any BOA dials or ratchets to bust off, the uppers are fine both functionally and aesthetically. The toe and heel areas have also remained intact, though it’s worth noting that neither are heavily armoured, which is something that may be of concern to more crashy types. The Bontrager Flatlines are excellent flat pedal shoes for trail riders. The flat pedal shoe market is getting more crowded by the minute, but that’s delivering some very good alternatives to the reigning champions; Five Ten. You can now put the Bontrager Flatline shoes onto the ‘viable alternatives’ category too. Even though these are the first such product for the brand, they’re kicking some serious goals with the clean, stripped-back design. 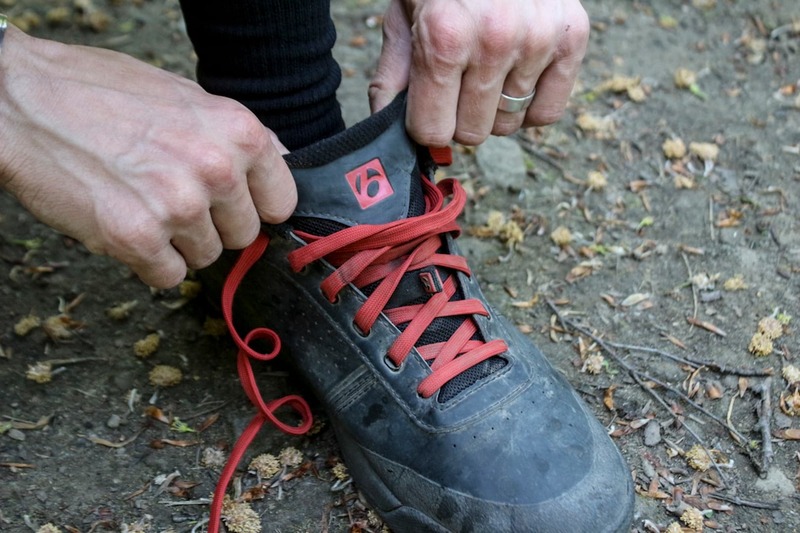 No, the rubber isn’t as sticky as Five Ten. But the soles have terrific feel and flexibility on the pedals, while still producing good damping qualities too. 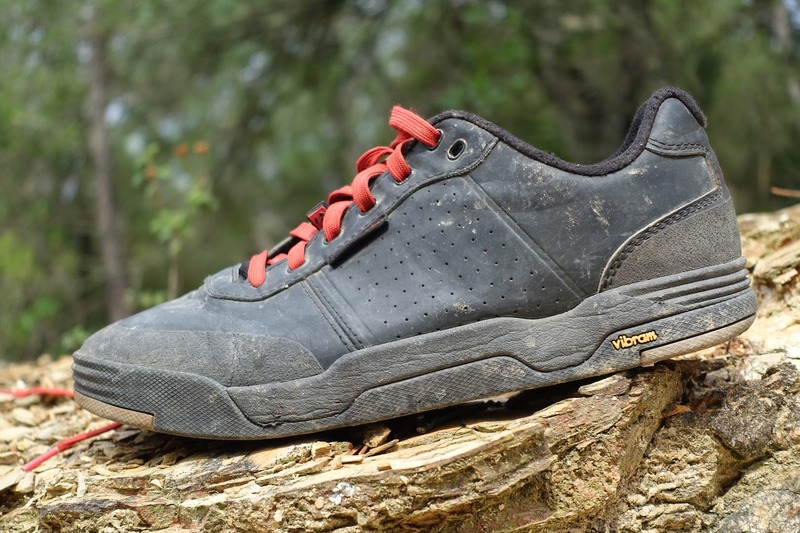 The soles are also significantly more durable than Five Ten’s, which is good news for high mileage riders. 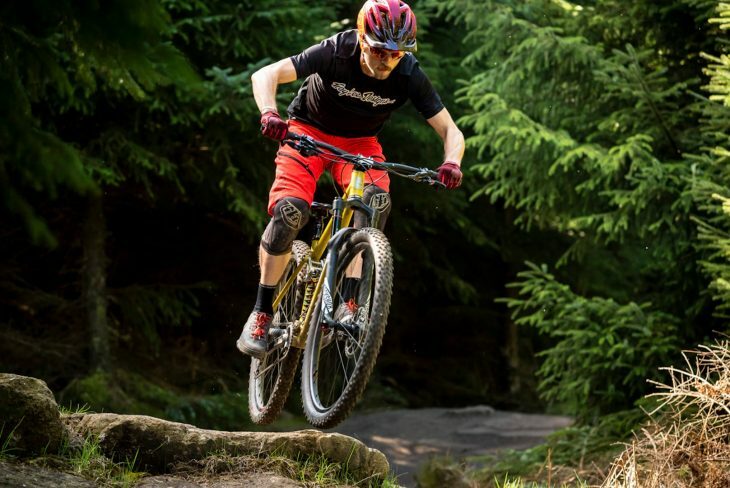 Factor in Bontrager’s 30-day Comfort Guarantee, and the Flatlines come out as a very appealing option for flat pedal trail riders.